I'm giving away a $100 Target gift card!! Details below. Hi guys! This past weekend, my very best friend of over 30 years was in town. I rarely get to see her. 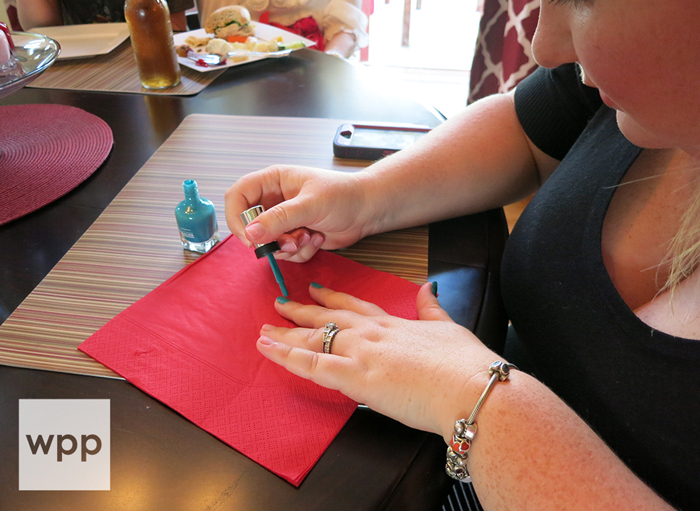 Given my nail polish obsession, a mani party seemed like the natural way to celebrate...so a few girlfriends and I spent a low-key Sunday afternoon getting in the Fall mood using the season's best selling shades from Sally Hansen Complete Salon Manicure (CSM). Keep reading to learn how you can "Have it All" with CSM, see a few party pics, and enter to win a $100 Target gift card! I've been a big fan of Sally Hansen's CSM polishes for a long time. I'm a licensed nail tech and can vouch for CSM's salon-quality results with no fuss. The line truly let's you "Have it All" in a single bottle which boasts seven benefits: Base Coat, Strengthener, Growth Treatment, Color, Top Coat, Chip Resistance, and Gel Shine. Super easy! Plus, the wide, curved brush helps even an inexperienced polisher get a perfect curve at the cuticle. 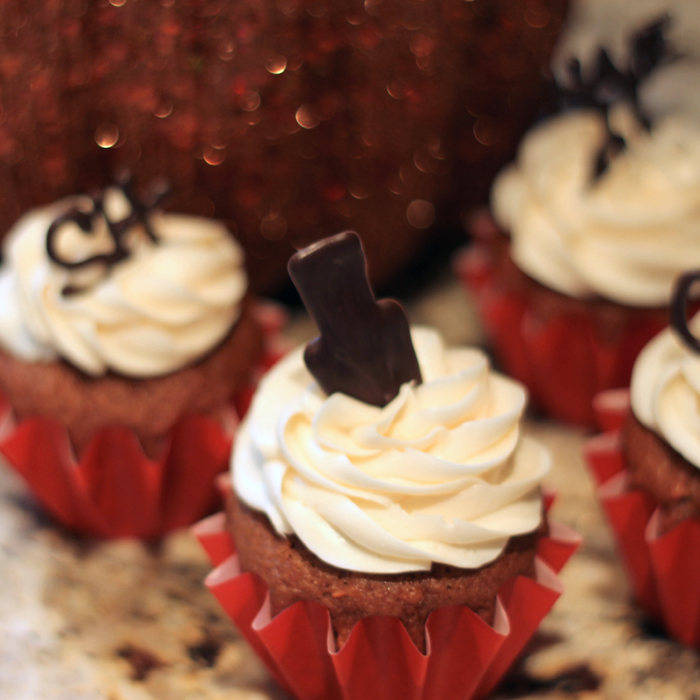 I called a few girlfriends, put together some easy food and drinks (I'm especially proud of my Sally Hansen carrot cupcakes! ), assembled a few nail art goodies and picked up CSM's best selling Fall polishes. 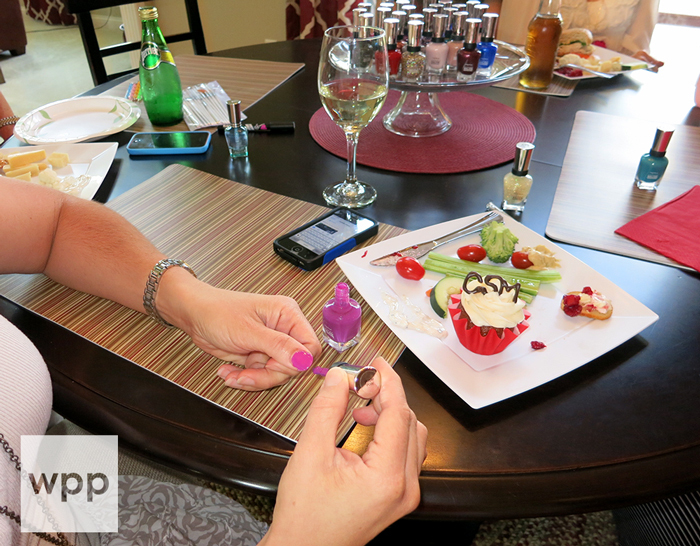 We ate, primped, polished, and laughed. So fun! As I was getting ready for the party, I realized that I already had three bottles of Pat on the Black! (It's an all-time favorite. See how shiny it is here?!) Back to the Fuchsia, Shell We Dance, Commander in Chic, Mermaid's Tail, Red My Lips and Golden Rule were some of my friend's favorites. I'm completely infatuated with Commander in Chic - in fact, I'm wearing it again today. Now it's your turn to party! 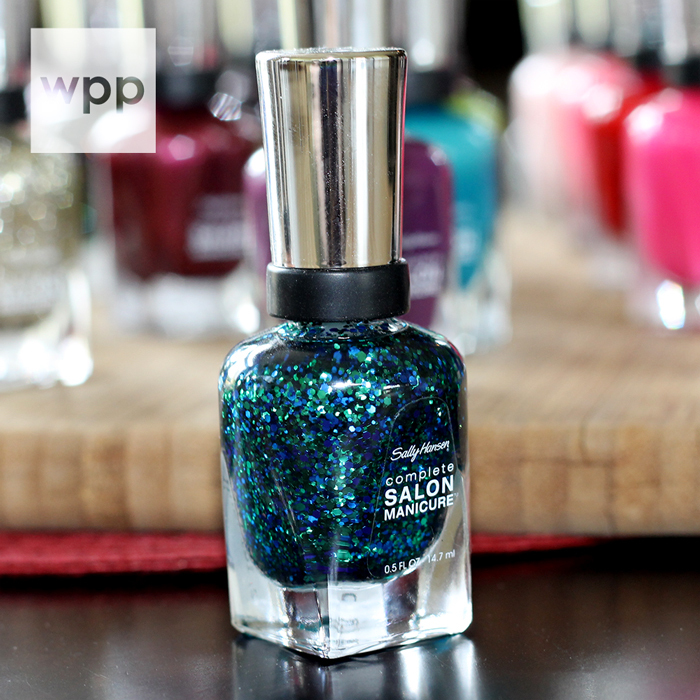 Enter to win a $100 Target gift card just by "Having it All" with Sally Hansen Complete Salon Manicure. 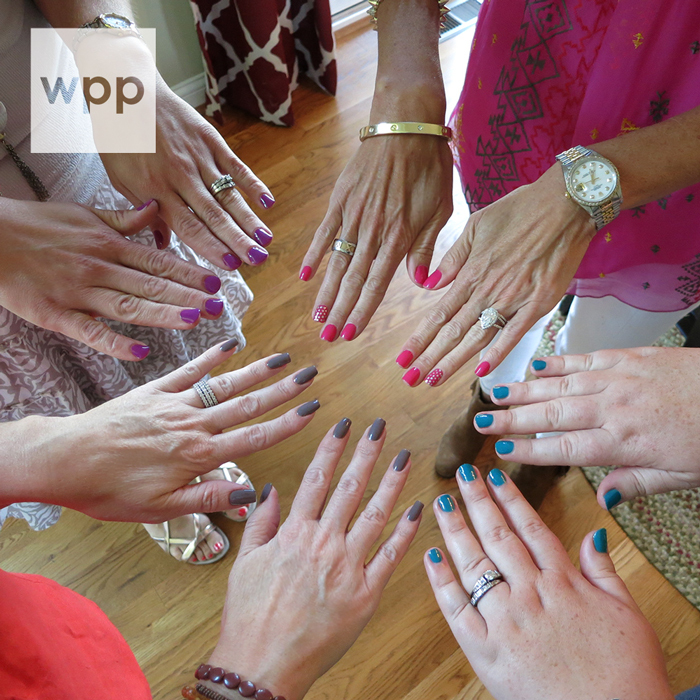 Grab some friends and your favorite Sally Hansen CSM shades...then share a pic of your party or mani on Twitter. 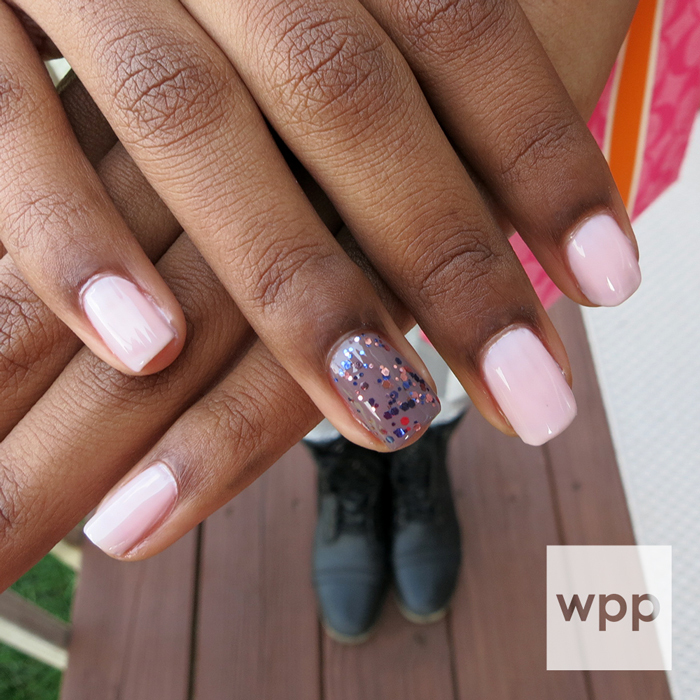 Mention @SallyHansen and @workplaypolish and use the hashtag #CSMhaveitall so we can find you! I'll choose a random winner from all eligible entries two weeks from today (Wednesday, 10 September). Have fun! I can't wait to see your pics! 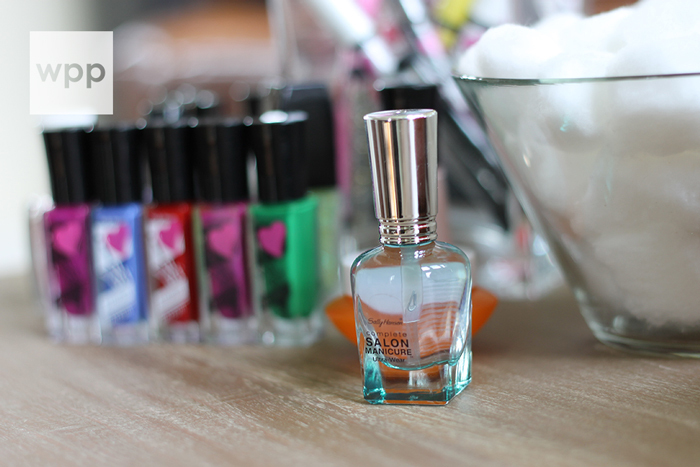 Sally Hansen Complete Salon Manicure is sold at Target, Ulta, Walmart, Walgreens, CVS, Kmart, Meijer, Rite Aid and other national locations. See their store locator for a complete listing. 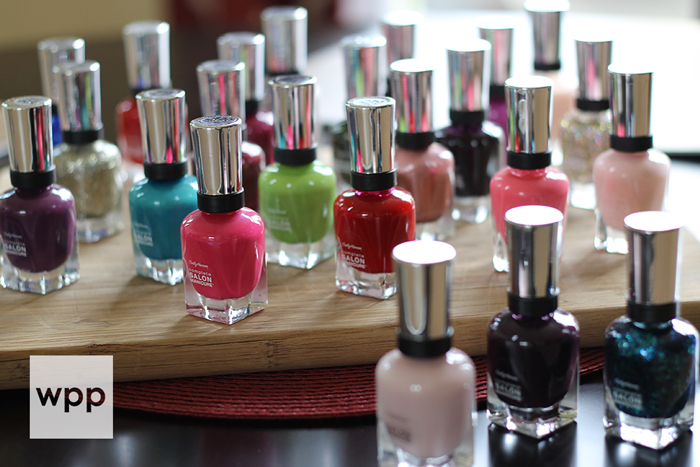 Visit the Sally Hansen website to browse all 65 CSM shades and be sure to follow Sally Hansen on Twitter, Facebook and Instagram for news and promotions!